Practice passing and movement after pass. 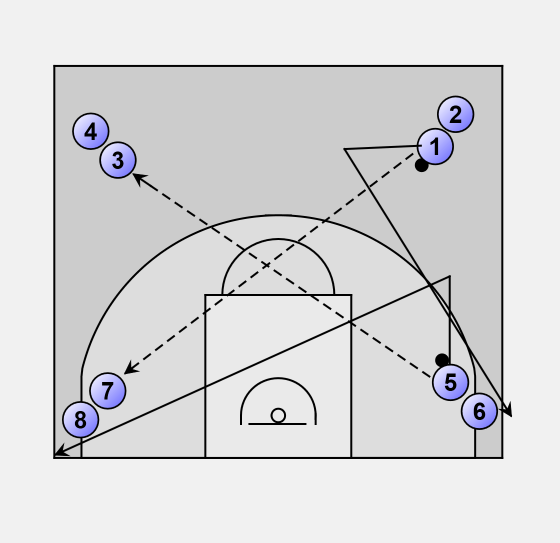 Half court; 8 players placed as shown, 2 balls. 1 passes to 7 and fakes towards 3 then goes behind 6. 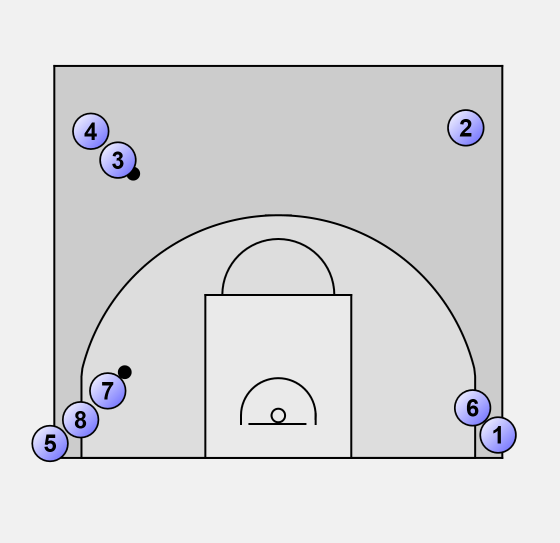 At the same tine 5 passes to 3, fakes towards 1 and moves behind 8. Positions after 3 and 7 have received the basketball. 7 passes to 2, fakes towards 6 and goes behind 4. 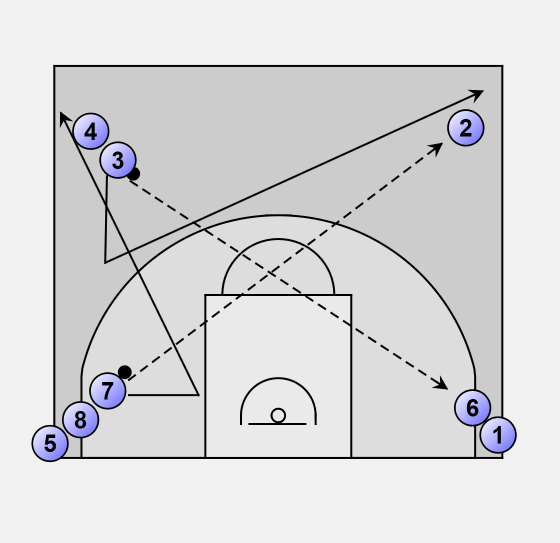 At the same time, 3 passes to 6 fakes towards 7 and moves behind 2. Back in the start setup. 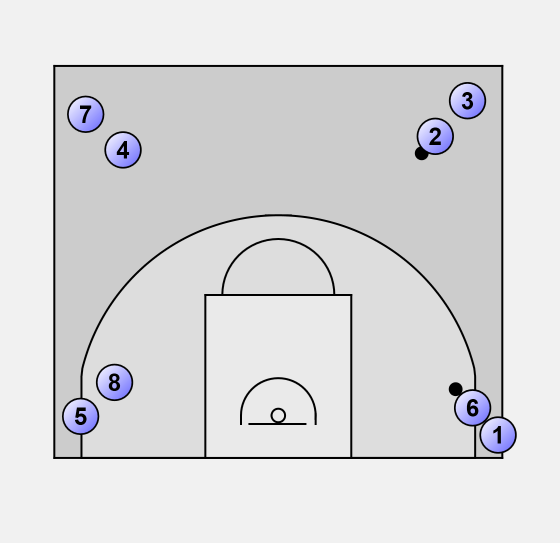 Repeat until the players have reached their starting positions. Change direction after 1 rotation or from time to time (on a signal, whistle) during a rotation.